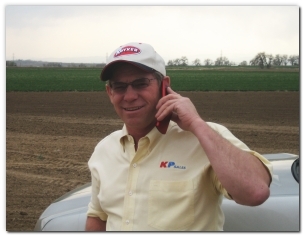 Ken Pryzgoda, owner and president has been in the farm equipment business since 1977. He spent 7 years in dealership sales, and then he was with a wholesale agricultural equipment distributor for 7 years. He started KP Sales & Marketing in 1991. KP Sales and Marketing, Inc. was formed in September of 1991 by Ken Pryzgoda to operate as an independent manufactures representative company. The manufacturers that we represent currently serve agricultural, landscape, light industrial, construction and turf management dealers in the Rocky Mountain region, including Colorado and Wyoming, with some accounts in New Mexico, and the Nebraska panhandle. We offer a team approach to business and customer service. KP Sales works tirelessly to maintain good relations between manufactures, dealers, and end users. It is our goal to provide our dealers with the highest quality merchandise and the best customer service possible. This approach enables us to maximize market share without sacrificing dealer profitability. 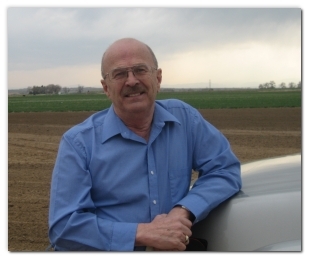 Dave Sagel began his farm equipment sales experience in 1962. He has 20 years of dealership sales experience and was a top salesman with Tractor Implement Supply Company for 19 years. He has been inside/outside sales and office manager with KP Sales since 2001. We believe that through our aggressive approach to marketing all of our products, we can best represent our manufactures and aid our dealers. We maintain a full-line catalog that is continually updated, our products are featured on our web site at www.kpsaleseq.com, and we regularly advertise these products in several regional and national periodicals. With our fully equipped trucks and trailers, we can demonstrate equipment, conduct workshops, and participate in regional shows. We diligently pursue all sales leads. We are members of EMDA (Equipment Marketing and Distribution Association) and FEMA (Farm Equipment Manufacturers Association). We actively support our agricultural and industrial community. Our years of experience and approach to sales and service have made KP Sales & Marketing, Inc. one of the most successful and respected rep companies in this region.